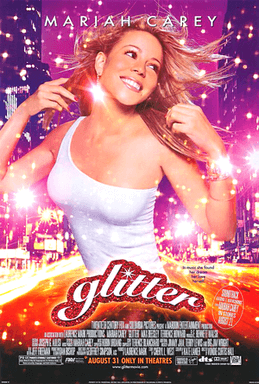 Mariah Carey wants to forget Glitter. She doesn’t want you to listen to this podcast on the movie. In fact, she’d rather get this problematic movie out her life and only refer to it as the “G” word. 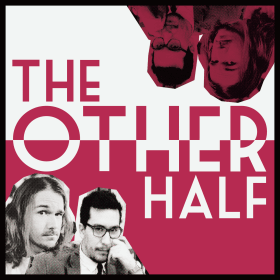 The boys talk about one of the worst movies of the early millennia. No one is exactly sure why this movie did so badly, as it was released on September 11th, 2001? Or was it just because it was an abomination of a film. Probably a bit of column A and column B.
Glitter opened in 1,996 American theatres, and grossed $2.5 million in its first week, with a worldwide total of $5.3 million. That’s a certified flop. This movie centers around a pop star with a great voice who gets help from her toxic as hell boyfriend. The ending may shock you. Mariah Carey does nothing wrong! We also take Terrance Howard to town for supposedly not believing in math.